For more info, please refer to John Odonnell Remollo Petalcorin’s Treachery of the PRB-RES on RESA-IRR. SEC. 28. Exemptions from the Acts Constituting the Practice of Real Estate Service. The provisions of this Act and its rules and regulations shall not apply to the following: A) Any person, natural or judicial, who shall directly perform by himself/herself the acts mentioned in Section 3 hereof with reference to his/her or its own property, except real estate developers. For this Purpose, however, those who are employed by such persons or entities who shall perform said acts, with reference to his/her employer’s property, engaged in the practice of real estate service and receiving compensation from such persons or entities, shall be exempt. The RESA Law will NOT apply to people who sell their own property, except real estate developers. In other words, real estate developers are not exempted from the RESA Law. The RESA Law applies to real estate developers even if they sell their own property. Now let’s move on to the “For this Purpose, however…” part. This insertion means that the people employed by real estate developers will not be covered by the RESA Law, even if they are considered real estate salespeople or real estate practitioners. Which begs the question: If the real estate property consultants or sales agents of real estate developers will not be governed by the RESA Law, under what rules will they operate? Real estate salesperson – a duly accredited natural person who performs service for, and in behalf of a real estate broker who is registered and licensed by the Professional Regulatory Board of Real Estate Service for or in expectation of a share in the commission, professional fee, compensation or other valuable consideration. It looks like people who work as real estate sales agents for real estate developers are not included in the list of “real estate practitioners” as defined in Section 3 of the RESA Law, especially if they do not report to a licensed real estate broker. Bottomline: If the insertion is approved, what law will govern the real estate salespersons or sales agents employed by real estate developers, especially if such salespeople do not report to a licensed real estate broker? If licensing was never required as salespeople are able to deliver without them anyway, then why license drivers who can drive without it? Why require transport operators with a franchise who can do without them? So in real estate, what is the need for brokers if they are not needed? The license is for consumer protection. Something they can chase. all the transacstions is with the help the developers. And these developer are still helping us to be a professional sales agent. How can you tell a professional real estate agent? By having a license? Or how he/she acts dealing with the client? [From the Admin] Please do not view the RESA Law IRR as some kind of “Developers versus Brokers” issue, because it is not. The RESA law was a brain-child of Brokers who are a minority compared to the thousands of Sales Agents across the country who have honestly serviced their clients, and received compensation to feed their families. 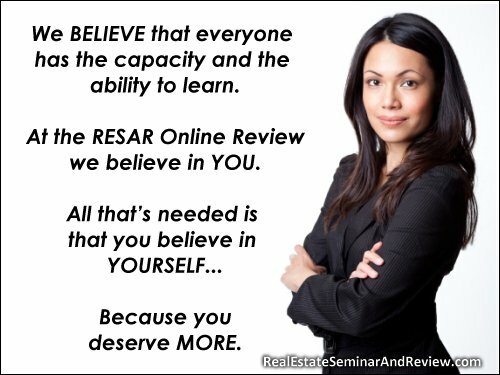 The so-called Brokers would like us to think, that if you are not a “Broker” then you are not competent to sell real-estate. I have been selling real-estate since 1988 and have been project selling and found no need to get a Broker’s license since I don’t need one. Sales agents who in the course of their dealings with their clients have misrepresented in any way or form, can be penalized by existing laws. The RESA law is so vindictive that it would treat “Non-brokers” as criminals. I guess it takes one to know one. Don’t blame the Sales agents when properties are not delivered by developers as promised. Blame the developers. My bottomline is BROKERS just want the bigger piece of the pie. All this for selfish intentions. [From the Admin] Thank you for sharing your opinion, Eric. Sana man lang hindi ganyang kabrutal ang Resa Law, Sana naman magkaroon ng malasakit ang government sa mga undergrad or highschool grad na agent who performs well and professionally in this line of business. Maraming undergraduates ang maapektuhan for sure, maraming mawawalan ng trabaho. Huwag tayong magbingi-bingihan sa sitwasyon, hindi lahat ng legal e tama. Lisensiya lang yan. Sino ba ang ayaw magkaliscense? Pwede namang ipatupad yan, bakit nga ba hindi? pero sana naman magkaroon naman ng consideration sa mga agents na di man nakatapos ay nagagampanan naman ng maayos ang kanilang tungkulin. Nakakalungkot isipin na ang mga undergrad or highschool grad na agents na nagsisilbi sa mahabang panahon ay mawawalan na ng pagkakataong kumita ng legal. Bakit ang RESA Law, hindi pinaguusapan sa tv o any media advertisement, meron man, hindi ganuong ka tindi ang issue? Bakit puro sa internet lang. kawawa ang mga Filipino agents na undergrad pero mga professional magtrabaho kesa sa mga taong nagsasabing lisensiyado sila, Kung iisa-isahin ko ang mga lisensyadong broker na walang ginawa kundi mangurakot ng pera ng ahente nila, hindi mabibilang sa mga daliri ko sa kamay sa sobrang dami. Hiling ko lang kay P-NOY, na sana mapag-aralang mabuti ang Resa law na yan. Sana naman magkaroon ng chance ang mga undergrad. or highschool grad full time agents na makakuha ng sales agent liscense para naman fair para sa lahat, sana naman kahit certification ng broker o developer na siya ay at least 2 yrs. to 3 yrs. experienced sales agent at mabigyan ng pagkakataon na makapagexam as sales agent, sa examination naman malalalaman mo na kung qualified na talaga ang isang agent o hindi. Kahit sa ganoong paraan lang, magkaroon ng konting consideration, hindi yung bigla – bigla na lang magugulat ang lahat sa Resa Law na yan. Maganda ang hangarin ng Resa Law, natutuwa kami at meron ng Resa Law na magproprotekta sa mga agents sa marami at nagkalat na mga broker na puro lang salita pero mahilig mang-ipit ng commission ng kanilang mga agents, sa ganitong paraan magkakaroon narin kami ng opportunity na isumbong ang mga broker na hindi nagbabayad ng buwis, mga broker na sumisingil ng sobra sobrang buwis sa kanilang mga empleyado, mga broker na walang considerations sa paghihirap ng mga agents once na makapagdeal na ng transaction. Diyan dapat maghigpit ang gobyerno, hindi lang lisensya ang solusyon sa problema. Sana lang bago ifully implement yan, magkaroon naman ng consideration sa mga undergraduate or highschool graduate na matagal na sa real estate service. Bakit hindi rin nating pagtuunan ng pansin ang mga developer na nang-gigipit ng commission ng mga agents, maraming-marami sila. Maraming developer na nakalipat na’t lahat ang clients sa kanilang bahay, aabutin pa ng 1 o 2 taon bago ibigay ang pinaghirapan mo. Kapag minamalas-malas pa ang isang agent, gigipitin na nga ng developer, gigipitin pa ng broker, tsk. tsk. tsk. Hindi madaling maging agents, pero pinipilit na magampanan ang tungkulin para kahit paano ay makaraos sa pang-araw araw na gastusin. [From the Admin] Sana magkaisa ang mga professional real estate sales agents na hindi nakapagtapos ng college, at kausapin ang PRC na bigyan po kayo ng pagkakataong makakuha ng exam. Mag-blog rin po kayo sa Blogger.com o kaya sa WordPress.com, pati na rin sa Facebook at Twitter (marami pong taga-media ang nagmo-monitor ng Twitter), upang dumami lalo ang mga taong makakapag-unawa sa inyo pong sitwasyon. Maaari po bang malaman kung bakit ho ninyo sinabing mawawalan ng trabaho ang mga undergrads? Ano po ang mga trabaho nila ngayon? Sila po ba ay gumaganap bilang independent salesperson sa kasalukuyan, at hindi sila hawak ng real estate property developer o broker? parang its unfair naman sa mga broker na nag papakahirap kumuha ng license tapos itong mga developer mag ha hire ng mga agent at for sure palalabasin na empleyado nila, at sahuran pero hindi naman, pano na lang ang mga Broker, ang mga developer makakapag hire ng mga highschool grad to sell their property mag under go lang ng training, but sa side ng mga broker, need na 2 years in college ang dapat na mabigyan ng license with out examination. pero dapat at least naka 3 years in real estate practice ( if im not mistaken) napakahirap makabenta ngayon taPOS MASYADONG MAHIGPIT PARA SA SIDE ng mga Broker. [From the Admin] What do sales agents do? Distribute flyers? The name of the contact person appearing in the flyer should be the name of a licensed real estate practitioner or broker, right? Brokers can hire agents and train them. The agents present the property details to potential clients, but the clients transact with the broker. If you are having a challenging time selling in the Philippine real estate industry, then we kindly suggest that you avail of Continuing Professional Education units or additional training on alternative sales strategies that will help you sell more properties. Your website can compete with high school grads, because it can do flyering on the web (24 hours a day, 7 days a week). It can present information anytime of the day, and it can document inquiries made by potential buyers from all over the world. Let us all adopt an Abundance Mentality, and we will all prosper. Good luck, and we wish you success in your real estate brokerage company. At any rate should there be a conflict in the governing law with the IRR, the former prevails. Any undue insertions that is not really reflective of the law itself is tantamount to an illegal legislation on the part of the board. For the meantime, I prefer to wait and see the final published IRR. It’s best to act too when there is already an actual controversy which can be legally be brought to the court. Worrying too much in advance on speculation could really drain us and just be irked for no reason at all. The best thing is when the actual controversy is there that we are all united to attack it. There is labor management malpractice anomaly in the operation of real estate developers. Those in-house salespersons they claim to be “employed” in their company are actually not employees but independent contractors. Those developers’ in-house salespersons do not have salaries, benefits, and leaves that are accorded to regular employees., even their in-house managers. maganda yung komentario ni pax. But ms. pax, in a skinning cat, it really matters what your personality is- if you are barbaric then you can have the cat drown in very hot water first, use a sharply edged knife and brutally cut the cat into pieces. That is the very essence of the RESA law my dear Pax, there is a need to regulate the profession- it is not simply skinning a cat. bad indication….. what is finalized as law, then it must be implemented. ang makikinabang lang pag may insertion ang mga developers. at magkaroon ng maraming social injustice between brokers and non-brokers.